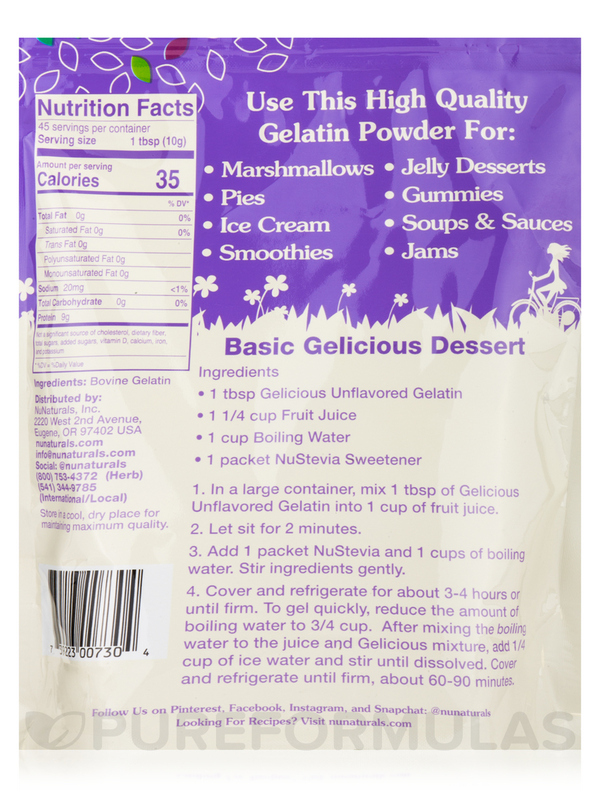 Like extra-thick puddings‚ soups‚ and sauces? 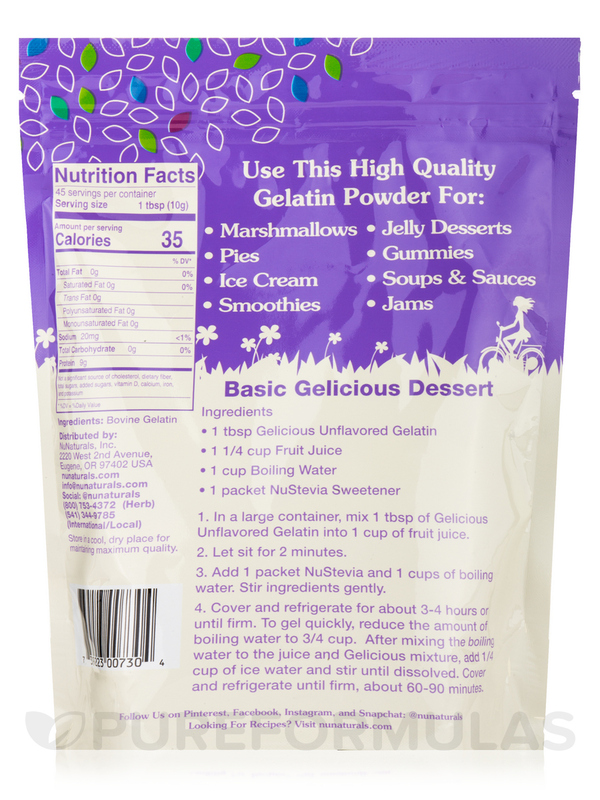 Want to make delicious‚ fun desserts like cheesecake‚ fruit-filled jellies‚ and gummies? 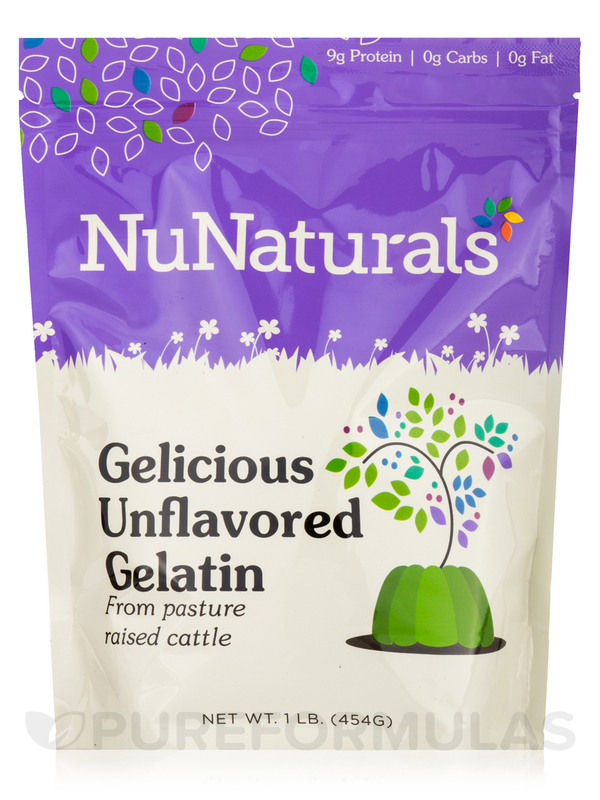 Add some NuNaturals Gelicious Unflavored Gelatin! Not a significant source of cholesterol‚ dietary fiber‚ total sugars‚ added sugars‚ Vitamin D‚ calcium‚ iron‚ and potassium. Use as directed by a healthcare professional. Store in a cool‚ dry place for maintaining maximum quality.